The following are the product improvements and enhancement to the March 2016 release of Dell Boomi AtomSphere. 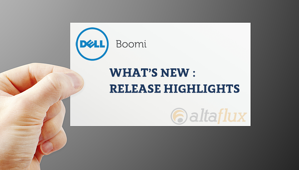 The following are the improvements available in the February 2016 release of Dell Boomi AtomSphere. The following improvements to the October 2015 release of Dell Boomi AtomSphere.